Let’s face it, learning to adjust to increasing mobility limitations is challenging enough. But sometimes the challenge of remaining independent in one’s own home with those limitations makes everything more difficult. Thankfully, for north Georgia homes in communities like Smyrna, Marietta or Sandy Springs, getting modifications such as a used stair lift for your Atlanta home is easier than you might think. 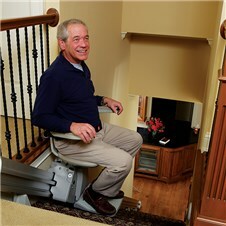 If you’re considering a safe way to move from one floor to another, have you looked into a used stair lift for your home? Used. Is that really a good idea for so important an investment in your health and well-being? How can you be certain that you can legitimately save money and it not be a disastrous experience? Make sure of the measurements – Buying a used stair lift could be a nightmare if you don’t get the right model for your particular space. 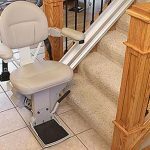 For north Georgia homeowners in communities like Smyrna, Marietta or Sandy Springs, a used stair lift makes good financial sense when you are getting a great deal on something you truly need, installed by a certified Georgia stair lift installer. Determine who will install the lift – Best practice is to select a lift installer before you have even made your purchase, since some Georgia certified installation experts are unwilling to install a chair lift purchased second-hand. 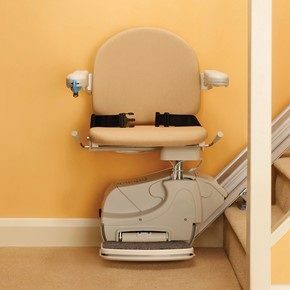 Also, if you choose to install the used stair lift yourself, you may run into problems later on when technicians refuse to work on a unit they didn’t install themselves. So it is best to cover your bases. 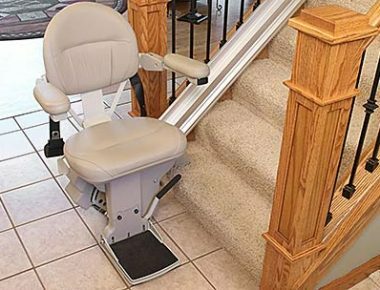 Work with a reputable company – Stair lift installation companies buy used stair lifts when they are no longer needed by the original purchaser. The company thoroughly reconditions the lift, inspecting each and every part for optimum function and performance. It is cleaned, lubricated, and any flawed or worn out parts are completely replaced. Batteries are tested as well to guarantee a long life. 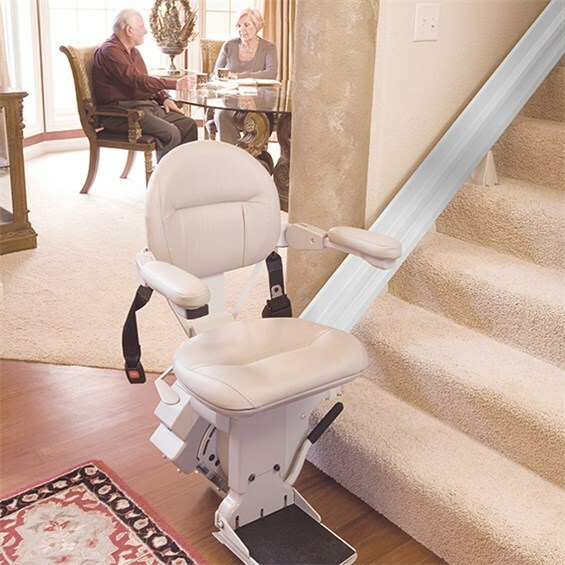 Purchasing a used straight stair lift in Atlanta or North Georgia through one of several trusted companies also means getting a limited warranty, which buying through a “private” sale would not. A noteworthy option for making your home more accessible is purchasing the Bruno Elan indoor straight stair lift. This stair lift, as with every Bruno model, is the product of American-made workmanship and represents high quality, affordability and maximum comfort and efficiency. 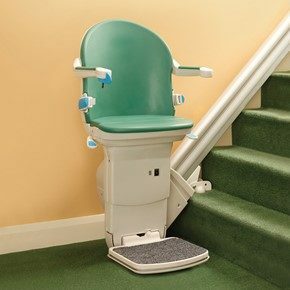 For north Georgia homes in communities like Smyrna, Marietta or Sandy Springs – the Bruno Elan indoor straight stair lift may be just the answer. Not sure what you should do next? 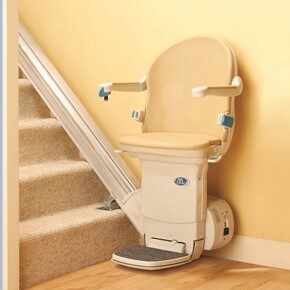 Contact your local certified aging in place specialist at Stair Lifts Atlanta, LLC by calling 770.880.3405 or sending an email using the contact form to the right for information about equipping your north Georgia home with the stair lift or mobility equipment you need. This entry was posted in Atlanta Stair Lifts, Bruno Stairlifts, Stair Lift Blog, Straight Stair Lifts, Used Stair Lifts and tagged bruno elan straight stair lift rental atlanta georgia, used stair lift installation and price for north georgia home, used straight stair lift atlanta north georgia, used straight stair lift smyrna marietta sandy springs. Bookmark the permalink.